We can provide complete air conditioning services, from design and equipment selection, through to installation, after sales support and cost-effective maintenance. Our engineers are experienced in designing and installing systems in retail outlets, hotels, offices, restaurants, leisure complexes and IT rooms. We can help create the right environment for any room or space. All installations are carried out to BESA (Building Engineering Services Association) & IOR (Institute of Refrigeration) standards. Air conditioning provides the ability to control and maintain temperatures to comfortable/desired levels. When heating is required, air conditioning systems will offer significant energy cost savings compared to traditional heat sources such as gas boilers. 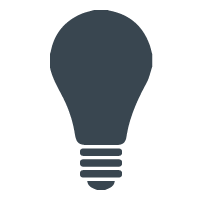 Efficiencies of up to 400% (1kW in = 4kW out) are typical at peak performance, compared to boiler efficiencies of 70-98% (1kW in = less than 1kW out). Horsfield’s offer a full scope of commercial air conditioning services designed to provide cooling in the summer and heating in the winter. We will deliver a fast, efficient and expert installation. The cooling systems we design range from the simple split system (with one external condensing unit serving a single area) to multi split systems (with many internal fan coils to heat or cool a number of areas). Our design engineers work closely with all leading manufacturers such as Daikin, Mitsubishi Electric, Unico to take full advantage of the latest air conditioning technologies available. From Variable Refrigerant Volume (VRV) or Variable Refrigerant Flow (VRF) and chilled water systems featuring inverters, to mixed mode cooling systems you can look forward to outstanding efficiency and higher energy savings, the result to your business being; less impact upon the environment and reduced running costs. From the largest office air conditioning systems to specialist installations and upgrades, our engineers have experience in all types of building spaces. The solution, usually a split or VRV/VRF air conditioning system, will offer reliability, flexibility and ease of management. Advanced technologies (such as VRV/VRF) can recover and re-distribute heat energy to many rooms or spaces rather than simply exhausting it to the outside-world; it is this ability to heat and cool at the same time that is capable of delivering efficiencies that will reduce both energy costs and environmental impact, whilst enjoying year-round climate control and comfort. ICT suites and server rooms require specialist knowledge of close control environmental design. Our design engineers will consider all factors to enable cooling loads to be calculated, and critical risks ascertained to ensure that the data centre/server room cooling systems we install are fit for purpose. From supermarkets, shops, restaurants to galleries, we understand the importance of maintaining a comfortable environment for both clientele and staff, and our substantial experience in the design of air conditioning systems that are discreet, quiet, cost efficient and highly effective will ensure that the right solution can be provided. Our systems will vary in specification with proposals of ducted systems with ceiling/wall diffusers or duct mounted grilles, ceiling cassettes or wall units. Cooling large spaces in factories, warehouses (retail) requires a different design approach. Evaporative cooling represents the most cost effective solution for these large open spaces. 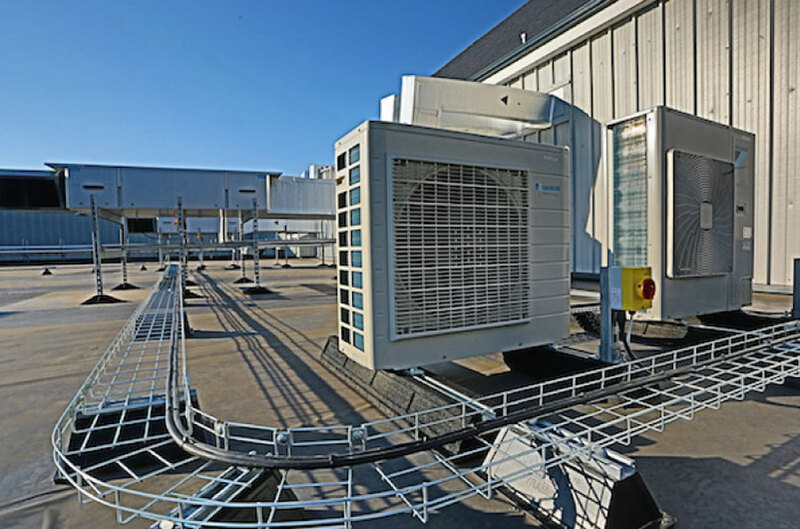 From the air conditioning unit to the air distribution system it is essential that the components are correctly designed and commissioned in accordance with heating and cooling loads. Using AutoCAD 3D design, supported by years of experience, we will ensure that airflow is balanced and the system (including controls) commissioned to deliver energy efficiency and the required designed performance. At Horsfield’s we recognise that after sales service is crucial to our success, we have a comprehensive range of HVAC servicing options and offer maintenance contracts for ultimate peace of mind. In the unlikely event that an HVAC repair is required our call out service is timely and experienced with in-house backup available.